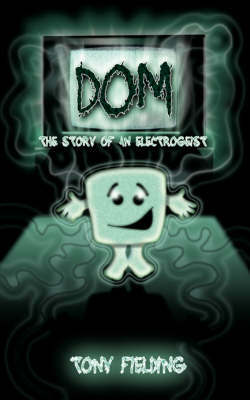 Dom is a poltergeist who likes to haunt electrical equipment, so really he is an electrogeist. He arrives in the house of young Mark, a solitary, lonely boy who loves ghost films and is sensitive to the unusual. Dom is not a scary ghost; he is mischievous and fun-loving, and is pleased to make friends with Mark. Will Dom help when Mark needs him?